Personal banking products and services are bigger than their name. They help you run your household, support your family and provide peace of mind. At Peoples Bank, you will find products and services focused on helping you live a better, more financially secure life. Need the convenience to bank from anywhere, whenever you want? Online Banking and products like Mobile Banking and Mobile Deposit allow you bank with freedom! Your financial needs are different, so your checking account should be too! Choose from the numerous of checking accounts we offer to find the best fit for you. Your savings account should match your savings habits. Check out the personal savings accounts and Money Market accounts we offer for your savings needs. Long-term savings help provide peace of mind for the future. The CD and IRA options we provide help you do so in a way that fits your cash flow and needs. Cars, home improvements and emergencies can all cost more than what you have saved. In those times, a consumer loan can be the best solution. The decision to purchase a home is one of the most important ones you can make. We help ensure your mortgage provides the funds you need without the headache. 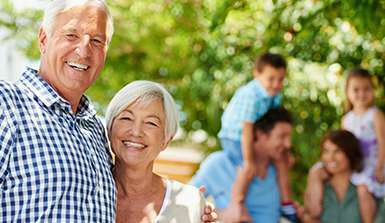 The Peoples Choice Club provides the finer things in life for those ages 55+, including exclusive banking services, travel opportunities and much more! When it comes to your money and your family, you want to know you are all financially protected. Our trust and investment professionals ensure you are covered. Keep yourself and your family protected with these security and fraud prevention tips.